Originally opened in 1953, the Twilight drive-in theatre is the last one left in Greater Vancouver. At one time there used to be fifteen drive-in theatres in the Vancouver area. 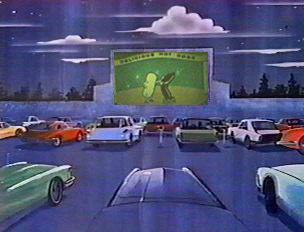 Do you remember the Cascade drive-in, the Lougheed, and the New Westminster drive-in? Dad always gives Mom a wink when they talk about the fun they used to have at the New Westminster drive-in in the "good old days". Better check this one out before it's gone too.